Would you like to Setup a Limited Company and maximise your Contracting income, WITHOUT having to do all the Paperwork and Administration? Get access to discounted professional indemnity insurance. Our all-inclusive service is perfect for both new Contractors starting out and seasoned Contractors who want a stress-free way to maximise their pay, without the day-to-day hassle and paperwork. All you have to do is sign a few documents and we will take care of everything from your company formation through to filing your annual accounts. 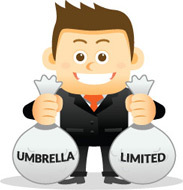 It’s Limited Company Contracting Made Easy! To find out how much you could earn through your own Limited Company, simply enter your details in the form above to receive a no-obligation income illustration and our FREE Guide to Limited Company Contracting. I have been a member of Freestyle since April and have been thoroughly impressed with their professional and timely response to all my queries. I would recommend Freestyle to any professional who is looking to setup there own Limited Company, they walked me through the whole process of setting up my company. They offer an all-in-one service with no stone left unturned, which allows me to concentrate on my actual work. In my eyes this is priceless. Call 0800 954 2101 or Complete the form above for you Free Income Illustration! Complete the form above for an honest assessment of whether a Limited Company or Umbrella Company is the right trading structure for you, based on your contract rate and length. If you join Freestyle Contractor Accountants and you’re not completely satisfied with our “everything done for you” service within the first 30 days, then let us know and we will refund your fee*.